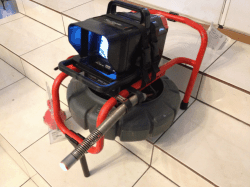 We are expert in clearing even the toughest clogs; hair clogs, grease clogs, roots clogs, we have the best tools in the industry ( Snake Drain Cleaning Machine, Hydro Jetter Drain Cleaning Machine). Clogged drains are very disruptive because we use our house drains everyday in our daily routine, so you need someone reliable and with experience, you need The Rooter Drain Expert. Camera Inspections are the best preventive tool to avoid long disruptions and have schedule maintenance to prevent blockage. We use the best cameras in the business, and we can make a DVD (at your request) for your records. A annually camera inspections is recommended. If we find roots in your sewer line do not worry, we offer many solutions, our plumbers will suggest the best one for you. We are the local Reseda Plumbers and we have served the Reseda area for many years. We would like for you to be one more happy customers. To provide you with the best service The Rooter Drain Expert is a Licensed Insured and Bonded plumbing company. 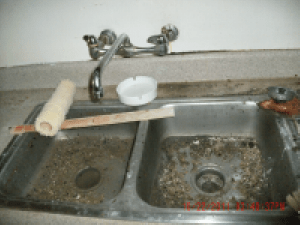 Please consider reading ” Why Hire Professional Plumbers?“. Plumbing has a lot of regulation and all work needs to be up to code, for your safety we only recommend for you to hire only licensed plumbers.